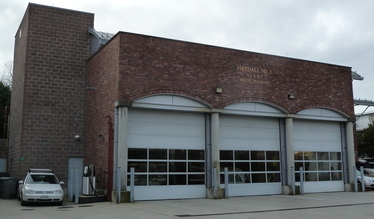 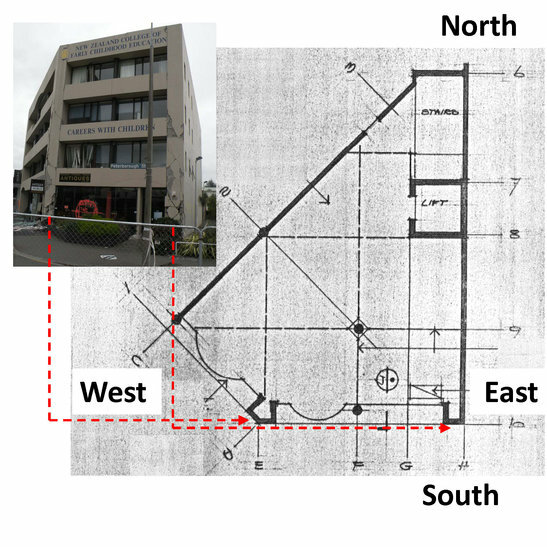 For at least one direction (across or along the building) the centre of rigidity or resistance is located anywhere beyond the half-way point between the centre of a typical floor plan and the side of the building. 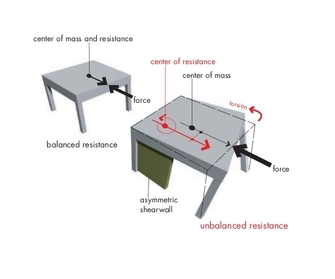 Torsion is created when the centre of mass (CM) and the centre of rigidity or resistance (CR) in the building do not coincide - the distance between these two points is referred to as torsion eccentricity. 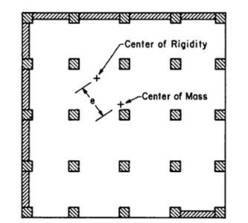 CM is usually the geometric centre of the floor (in plan). 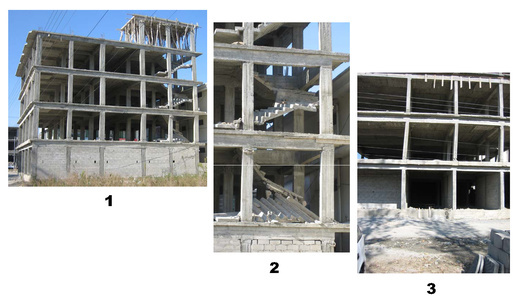 Location of the CR depends on the characteristics of components of lateral load-resisting system (shear walls, moment frames, braced frames, etc.). 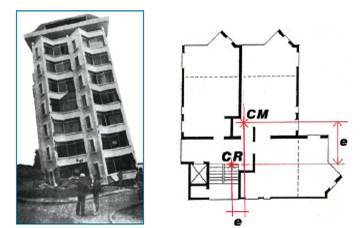 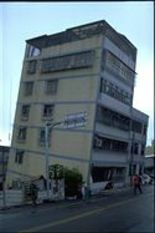 Torsional effects can develop only in buildings with rigid diaphragms. 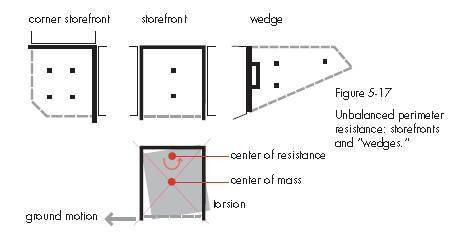 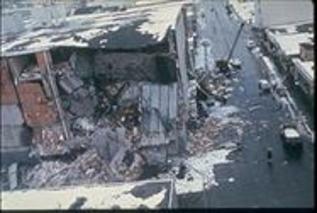 Also large torsion eccentricities may not lead to torsion irregularity if lateral load-resisting structure normal to the torsion generating structure is widely-spaced in plan and strong.